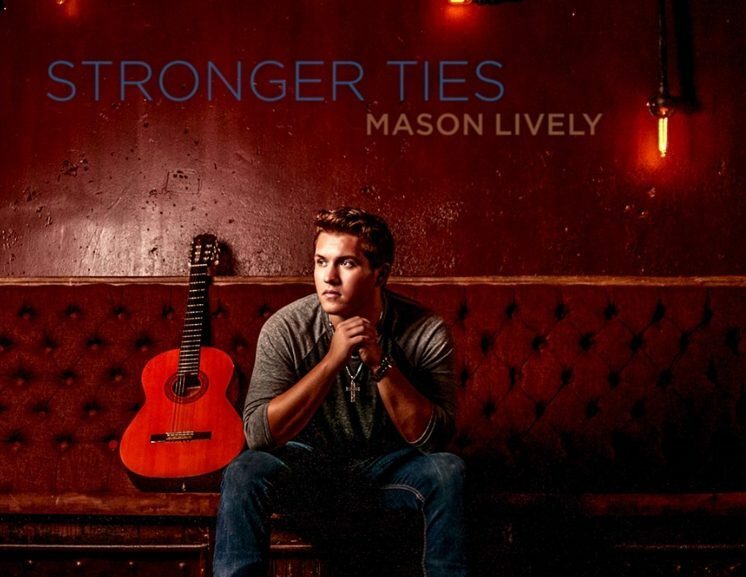 Up-and-coming Country star Mason Lively is about to release his first full length Americana/Country album “Stronger Ties” this Friday, April 6th. The kid is phenomenal…he writes songs like a seasoned veteran. Texas Music Pickers, Elmore Magazine in New York and CM Chat Live in Nashville are just some of those who have jumped on board to premiered his music. Even though he is only 20 years old, you would never guess that by the songs he writes. He has been performing since he was 15 years old…and writing songs since then too. In fact, he wrote all 10 songs on this new album and recorded at The Zone in Dripping Springs with Pat Manske. Every single song on the album is stellar…touching on love, heartbreak, his life on the road, faith, vices, and much more. We were hooked seconds into the new album! He is definitely one of those young artists that don’t come around very often…. Sometimes you just know when you come across something special. You can feel the energy, the excitement, and the life of the project. It cuts above the clutter of everything else and sticks with you long after you’re done listening. Not only does it give you something great to dive in to, but when it’s from a young up-and-comer, it also excites you about the future. That’s most certainly the case with Mason Lively’s upcoming album “Stronger Ties!” stated Texas Music Pickers. The album comes out Friday, April 6th, and we HIGHLY recommend getting your hands on it!!! If you can’t wait until Friday, you can listen to the whole album right here! Enjoy! For more information and to stay up to date on Mason Lively, visit his website and follow him on Facebook and Twitter.